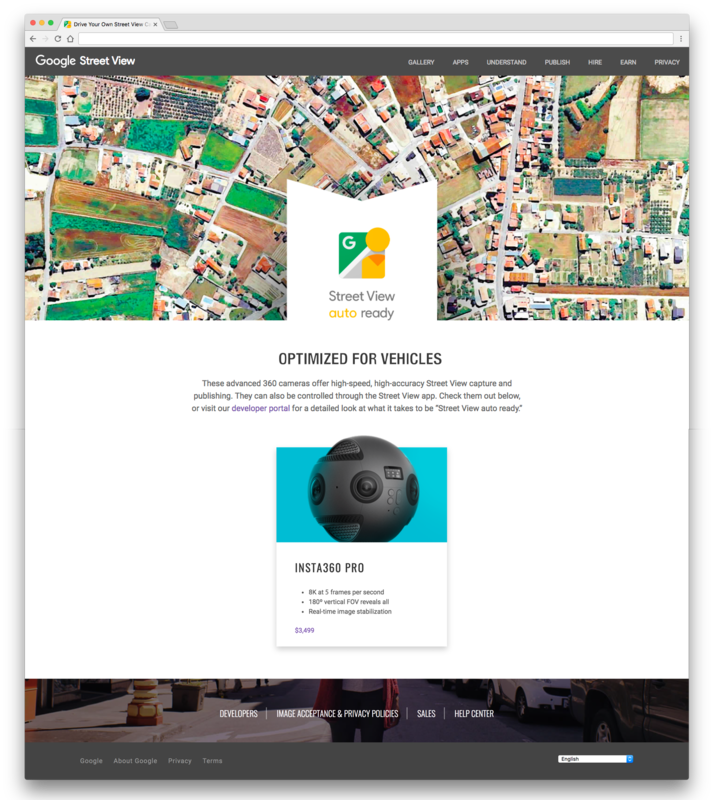 Google has a new program called “Street View ready” which will make it possible for anyone with the right hardware to contribute to its Street View imaging database, typically assembled using Google’s official 360-degree camera-toting Street View cars. The first camera officially designated ‘Street View auto ready’ is Insta360’s Pro camera, the 8K 360 camera which captures still images at up to 5 frames per second, and which has real-time image stabilization built-in. This sounds like a very cool way to let adventurous individuals contribute to the Google Street View imagery database, and it’ll help Google cover territory not necessarily easily reached by its own teams, including terrain accessible to specific organizations who want to document it for research purposes. Google has done limited contributions with third-parties in the past, including Faroe Islanders with its “Sheep View” project, but this could cast a far wider net – provided, of course, contributors are willing to pony up for the expensive Insta360 Pro hardware.